The Library of Congress added five new exemptions to its Digital Millennium Copyright Act (DMCA) Monday, a copyright law that criminalizes attempts to bypass digital copyrights. Originally passed in 1998, the act is revisited every three years, with new exceptions added based on changing technology. While the legalization of jailbreaking mobile phones is certainly getting the most press, exemptions were also added to the DMCA that allow people to legally break through the copyright protections on video games, e-books, and DVDs as well as bypass external security measures on some computers. The biggest news today was the legalization of jailbreaking. Users can now legally break through copyright protection on their mobile phones in order to "execute software applications, where circumvention is accomplished for the sole purpose of enabling interoperability of such applications." Users are also now able to unlock firmware that ties a mobile phone to a particular wireless network. Both exemptions are big news for iPhone owners, who have battled for some time over the ability to add non-Apple approved software to their phones, as well as take those phones to different carriers. College professors and students, documentary filmmakers, and those making noncommercial videos, are now able to circumvent the copyright protection on DVDs in order to use short clips from those DVDs in new works "for the purpose of criticism or comment." The exemption was previously in place for professors, but has now been expanded to include students and filmmakers. The exception does not allow for users to copy whole works, or for individuals to create backups of DVDs they personally own, an issue brought up last year in the RealDVD case. 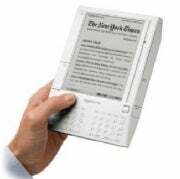 A new exception to the DMCA allows users to break through copyright protection on e-books in order to enable text-to-speech functionality. You may remember the text-to-speech functionality of the Kindle was a huge issue between Amazon and the Authors Guild last year, the Authors Guild feeling that it took away from potential audio book sales. With that in mind, today's exception is only legal when "all existing ebook editions of the work (including digital text editions made available by authorized entities) contain access controls that prevent the enabling either of the book's read-aloud function or of screen readers that render the text into a specialized format." Bottom Line: If a publisher offers an option for an audio version, even if it is twice the price, you can't legally bypass the book's DRM. Users can now break through the copyright protection on video games "when circumvention is accomplished solely for the purpose of good faith testing, for investigating or correcting security flaws or vulnerabilities." Information obtained from the security testing has to be used "used primarily to promote the security of the owner or operator of a computer, computer system, or computer network; and...used or maintained in a manner that does not facilitate copyright infringement or a violation of applicable law." This addition was added specifically for research in the area of SecuROM and SafeDisc. Computer programs that are protected by dongles that are now broken or malfunctioning are now "considered obsolete if it is no longer manufactured or if a replacement or repair is no longer reasonably available in the commercial marketplace." Do you see yourself using any of the new exceptions? What would you have liked to see added to this list?